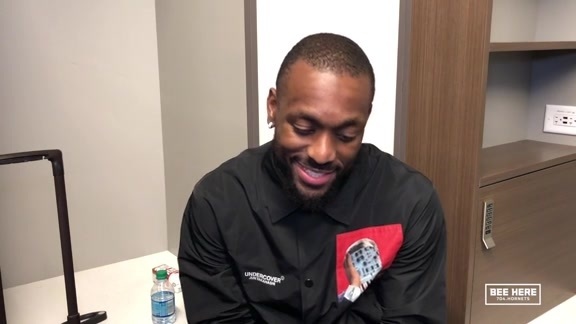 A franchise-record start on the road set the tone early for the Charlotte Hornets as they rolled to a much-needed 129-120 win over the hometown Hawks on Saturday, Feb. 9 in Atlanta, GA.
Three-time All-Star Kemba Walker led the way for the Hornets with a game-high 37 points and seven assists, giving him a career-high-tying four straight 30-point games. Walker also went 9-of-17 from distance in the process, joining Steph Curry as the only NBA players with at least three outings of nine-or-more three-pointers since the start of last season. 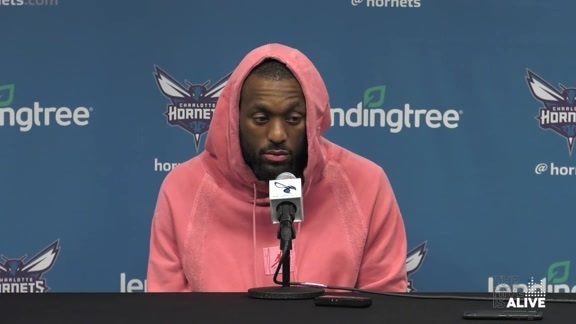 After the Hornets saw their early 17-point lead whittled to five by the break, they went and outscored the Hawks, 33-18, in the third to go back up 20 with a quarter remaining. Charlotte converted Atlanta’s seven third-quarter turnovers into 16 points and shot 58.3 percent from the field in the frame. The Hawks trimmed the deficit to eight down the stretch, but couldn’t avoid a fifth loss in their last six home outings. 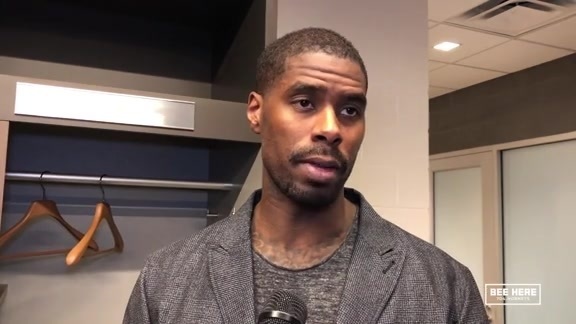 Marvin Williams had a season-high 27 points on 12-of-16 shooting and Jeremy Lamb chipped in another 24 points, six rebounds, a career-high-tying seven assists, three steals and two blocks. Michael Kidd-Gilchrist (11 points) and Cody Zeller (10 points in his first start since Dec. 31) were also in double figures for the Hornets. Tony Parker missed his second straight game (back strain), although the Hornets won for the first time without him this season (now 1-8). The Hornets led 46-31 at the end of the opening 12 minutes, matching a franchise record for points in any quarter on the road (46, March 22, 1991 at LAC). The Hornets entered the fourth quarter with a 106-86 advantage, their most points through three frames on the road in team history as well. Charlotte narrowly missed tying another franchise best by going 19-of-42 from three-point range (45.2 percent). This was also the team’s fourth wire-to-wire win of the season. For the hosts, they got 20-point games from both John Collins (21) and rookie Trae Young (20), the latter also adding a game-high 11 assists for his 16th double-double of the campaign. Kevin Huerter tossed in 17 points, while Kent Bazemore and Jeremy Lin each had 13 points off the bench for Atlanta. The Hornets stay on road to do battle with the Indiana Pacers on Monday, Feb. 11 starting at 7 p.m. ET in Indianapolis, IN.